It's the first week of August and we've had such wonderful weather this year. We've had plenty of rain, sunshine, and beautiful flowers. Still, I've had some flowers that I just couldn't get to work in the area where I planted them. I love neat gardens and just had to yank out the offenders who wouldn't behave. 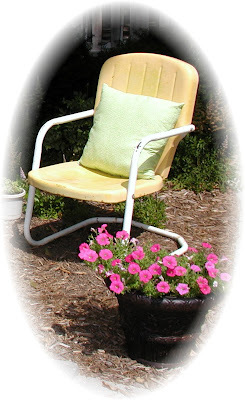 In the garden below I simply pulled out the flowers and added garden chairs with pillows to fill in the blank space. This looks like a great spot to read a good book. On the deck bench I've added extra pillows to grab when needed. The turquoise tub was a Walmart special that I can also use for ice and pop. 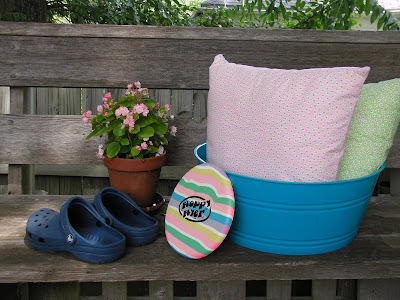 The "Floppy Flier" frisby is handy for when the dogs want to play and my garden crocs are ready to grab when I water the flowers. I just love these little rose like pink begonias! Click photos for a closer view. 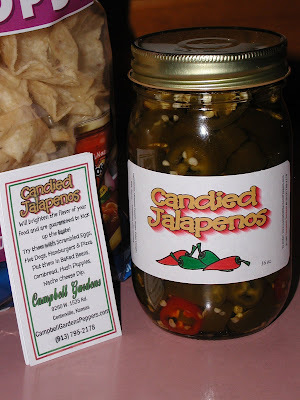 If you need something quick and different to fix for a snack, (I served these at Amber and Scott's wedding reception) may I sugget getting a jar of these absolutely fabulous "Candied Jalapenos". They come from Campbell Gardens in Kansas. Click here to visit their website. A few years ago we were at The Maple Leaf Festival in Baldwin, KS and came across their booth. Put some whipped cream cheese in a frosting bag with a star tip or in a ziploc bag with the corner cut off. 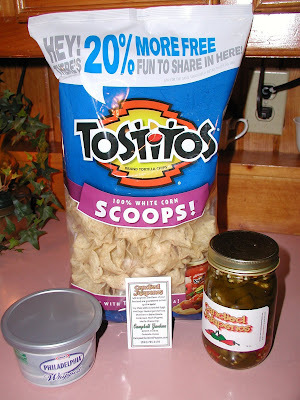 Squeeze a small dollop into the center of some Tostitos Scoops and top with a 1/4 of a slice of a pepper. I cut the slices with some kitchen shears. A jar of these peppers lasts a long time because you're only using a small piece on each scoop. They have a touch of sweetness that cools down the jalapeno. These were a big hit! With summer soon coming to an end, I've started painting fall scenes now. This one should be finished today. I want to thank all of my dear blog readers for your sweet comments on the previous post about our cat, Callie. Your sincere concern is much appreciated! I have some blooms that didn;t cooperate too! That snack sounds yummy, I am looking up that website. 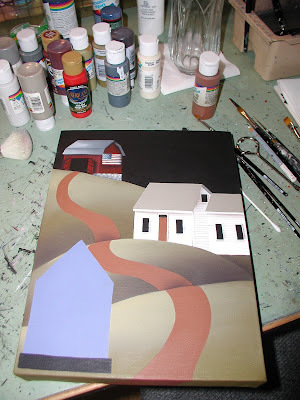 I love seeing your art in progress Cathie! 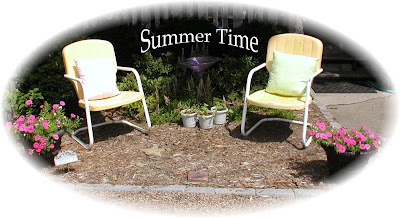 I am sure your fall scene will be wonderful, but how can you say the summers end is near??? Hi Cathie! I too can't believe Fall is coming so quick. It seems like it was just Spring! Can't wait to see your Fall scene all done.